The Ultra Pure synthetic urine is premixed laboratory urine designed to protect your privacy during a urinary drug test. 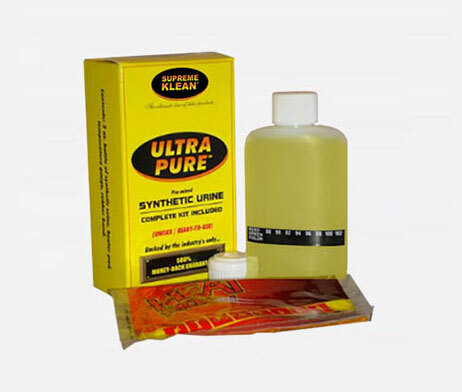 The Ultra Pure synthetic urine is unisex so a male or female can use it to pass drug tests. To ensure passing a urinalysis, the synthetic urine contains all the ingredients normally found in urine and is balanced for pH, specific gravity, creatinine, and several other urine characteristics. The bottle comes with an attached temperature strip and heating pad to ensure the sample is at body temperature.